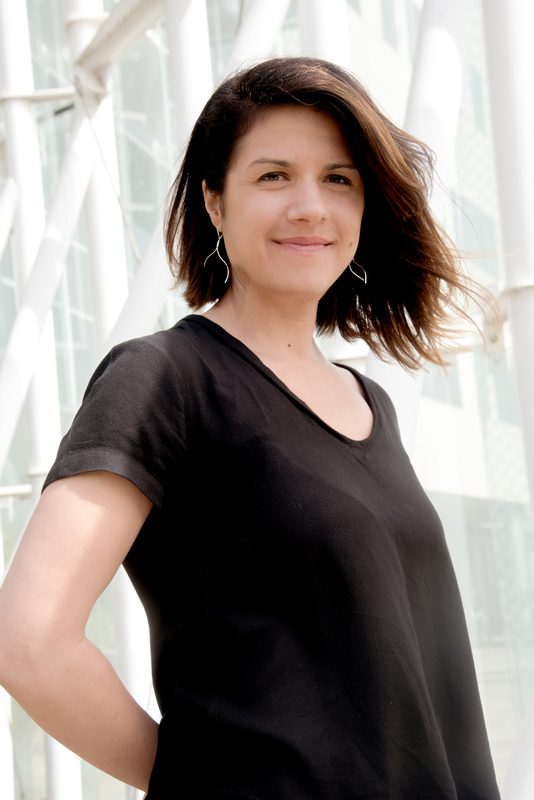 In a show of hacker team spirit in August of last year, Parisa Tabriz ordered hoodies for the staff she leads at Google, a group devoted to the security of the companys Chrome browser. The sweatshirts were emblazoned with the words Department of Chromeland Security,” along with Chromes warning to users when they visit insecure websites that leave them open to surveillance or sabotage: a red padlock crossed out with an X. But when one of Tabrizs team members, Adrienne Porter Felt, donned the hoodie later that month, her sister looked at that lock icon—a simple rectangle with an arch over it—and asked an innocent question: Why did the sweatshirt have a red purse on it? For Tabrizs team, the mistaken assumption that an average person on the internet can tell the difference between the symbol for a purse and a padlock has come to represent a fundamental problem with modern browsers. Theyre responsible for helping billions of people gauge the security of the sites they visit, but there’s only an inscrutable icon to signal the difference between an encrypted site that locks its connections and unprotected sites that leave them vulnerable to threats—which can range anywhere from a hacker sniffing passwords at the next Starbucks table to a hacked home router eavesdropping on emails to an internet provider surreptitiously injecting ads. The confusing collection of hieroglyphics used by most browsers today to draw that line are misleading at best; at worst they’re negligently silent or even dishonest about a sites lack of security. That’s why, for the first time, the Chrome team is about to start naming and shaming the nearly half of the worlds websites that dont use strong encryption, putting a clear Not secure warning next to thousands of popular online destinations that use unencrypted HTTP connections rather than encrypted HTTPS connections. In the process, they may just change the standard for security online. People say we cant make half the web look scary, that people will be afraid of it, Tabriz says. But for us, its a problem of trying to be honest with users. Without HTTPS, a user or web service can have no expectation that anything on a site hasnt been tampered with or eavesdropped. And thats crazy. Starting in January, Chrome will flip the webs security model: Instead of warning users only about HTTPS-encrypted sites with faulty or misconfigured encryption, as Chrome currently does, it will instead flag as “not secure” any unencrypted sites that accept a username and password or a credit card. That unmistakable alert will appear to the left of Chrome’s address bar. Soon after, the team also plans to announce another category of sites that will be flagged for not using HTTPS by a deadline later in 2017. Among the candidates theyre considering: any unencrypted page visited through Chrome’s Incognito mode and any non-HTTPS site that offers downloads. Check your daily tour of web forums, download sites, and registration-enabled media outlets for the telltale lack of a green padlock, and you’ll see many are set for an unpleasant wakeup call when they fail those tests. And over the coming years, Chrome plans to hold more and more types of sites to that HTTPS standard. For many web administrators, Google’s encryption-shaming may not be so welcome. 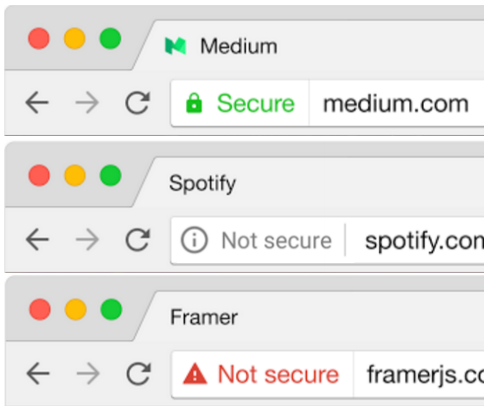 Turning on HTTPS isn’t quite as easy as flipping a switch: Many complex media sites with elements like ads and video, for instance, are dependent on those outside data sources to encrypt every piece of content before they can meet Google’s bar. WIRED, for instance, announced in April that it would be turning on HTTPS for all of Wired.com, but it took five months to iron out issues like insecure third-party content and, ironically, maintaining the site’s high rankings in search results while changing all of its web addresses. The New York Times, for its part, issued a challenge in late 2014 to news sites to switch to HTTPS by the end of 2015, but still hasn’t achieved that standard itself. Riling web admins, however, is a small price to pay for the security benefits HTTPS will bring, says Aas. “There are going to be people who feel like they’re forced into this too early,” he concedes. “But that’s true of every change on the web. And this is the direction we need to go. Google has solid business reasons to be aggressive in its HTTPS campaign. In contrast to closed-off environments like Apple’s App Store, Google loves the open web, where its search engine reigns supreme and its ads rake in the vast majority of the company’s $80 billion a year in revenue. To compete with mobile apps, Tabriz explains that Google wants web pages to be able to reach deeper into your computer’s resources, accessing the same sensitive information, like location and offline data, that apps routinely use. But if the web’s tendrils are going to extend further into our private lives, they first need to be secure. “You wouldnt want a man-in-the-middle to be able to access those things,” says Tabriz, using the cryptographer’s term for hackers who intercept and eavesdrop on HTTP data as its traveling from your computer to a web server and back. As a kind of progress bar for the webs security evolution, Tabriz’s team today released a new set of data on Google’s website that displays the exact fraction of sites visited through Chrome that are encrypted, broken down by country and operating system. It shows that around 51 percent of Windows’ Chrome traffic is encrypted and 60 percent for MacOS. Android lags behind at 43 percent, perhaps because many of users’ most sensitive smartphone connections are made through apps instead of the web. The report also breaks down encryption on a country-by-country basis and shows that while 60 percent of Windows users Chrome connections are encrypted in the US, only 47 percent are protected in Turkey and only a third in Japan. Until their graphs near 100 percent across global operating systems, Tabriz says, they’ll keep ratcheting up Chromes HTTPS requirements. Eventually they aim to make web encryption so ubiquitous that a lock icon symbolizing HTTPS is hardly necessary—that users can rightly assume their traffic is encrypted unless they see an alert to the contrary. “Im determined to make the web go there,” Tabriz says. “Because if we cant have HTTPS, we cant have real security. 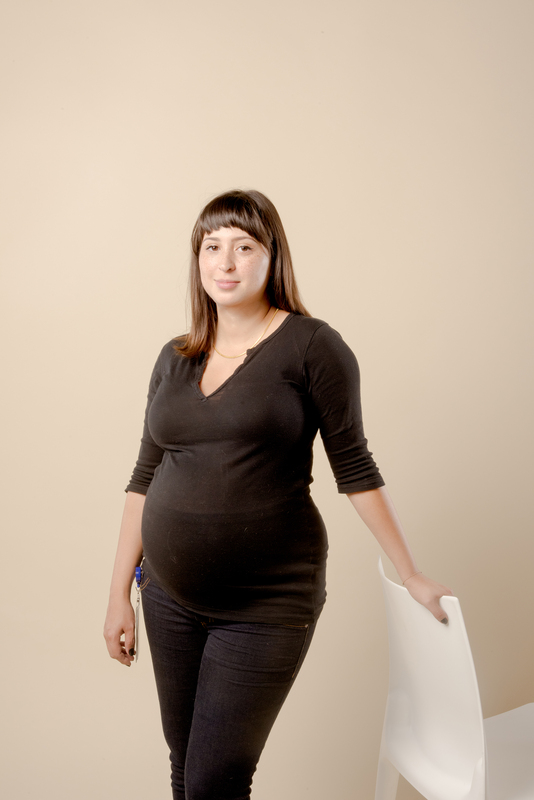 Since she started as a security engineer at Google nearly a decade ago, Tabriz has approached her job as a white-hat hacker with an understanding that security problems are not merely technical but human. After repeatedly finding and fixingthe same bugs in the company’s code, for instance, she says she became determined to instead fix Google’s coders. So in 2010 she and a fellow Googler started Google’s “Resident Hacker” program, a crash course in information security training for programmers so they could learn to find, exploit, and patch bugs in their own work. So when Tabriz took over the Chrome security team in 2014, she put a new focus on not just locking down Chrome but the entire web that users see through it. Google has long fought to advance Chrome’s security beyond that of other browsers. Chrome was the first popular browser to implement a rigorous “sandbox”—a security measure that limits how deeply a malicious web page can reach into a users computer—to automatically install security updates, and to pay bounty rewards in the hundreds of thousands of dollars for information about the browser’s security flaws. But Tabriz’s HTTPS push meant looking beyond Chrome’s own code and pulling up the rest of the web’s security to meet its standards. The Chrome teams most powerful lever to move the webs security is arguably the trusty padlock you see by the URL, which signals a site’s encryption. But Chrome and other browsers today use a counterintuitive and even perverse system to guide users towards secure web sites, issuing a warning only if an encrypted connection looks suspect; for example, if a site’s certificate—the data proving it is who it claims —is invalid or expired. But if you visit a completely unencrypted site—no matter what credit cards, passwords, or other sensitive data the page asks for—your browser shows no warning at all as you spill your guts to eavesdroppers. As Tabrizs team considered how to redesign that faulty system, they started from scratch. Porter Felt took the lead on Chromes encryption push, and along with fellow Googlers and researchers at Berkeley, surveyed more than 1,300 people about how they perceive security warnings in web browsers. Over two years, they went so far as to travel to India, Brazil, and Indonesia to test peoples understanding of security indicators like the red lock icon that confused Porter Felts sister. In India, for instance, Porter Feltinterviewed more than a dozen internet newcomers, and the majority couldn’t even guess what the lock symbol meant. “This goes beyond cryptography,” Tabriz says. “Trying to present this to users who are colorblind or dont speak English or think a lock is a purse is a very human problem. 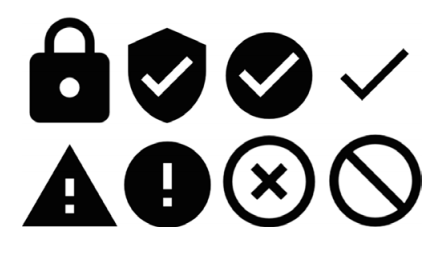 Porter Felt and her fellow researchers presented the survey results at the USENIX Symposium on Usable Privacy and Security last summer, showing how Chrome’s security symbology was failing. When users viewed an unencrypted HTTP page in Chrome, only about one in five interpreted the white page icon to the left of the address bar as “not secure.” When they were asked to choose a symbol to indicate that a site was secure, they chose a red lock just as often as they chose a green one. But when users were shown a black circle with an exclamation point in it, accompanied by the word “HTTP,” 38 percent regarded the site as unsafe and said they’d leave the page immediately. Change that symbol to a red triangle with an exclamation point and “HTTP” to “not safe,” and over two-thirds of respondents said they’d flee. Ultimately, Porter Felt and the Chrome team settled on a system that tries to educate users without alarming them into a state of numbness. For now, when someone lands on a typical unencrypted site, Chrome shows a white circle with an “i” in it rather than the exclamation point, meant to serve as an invitation to click for more information. Starting in January, the “i” will in many cases be accompanied by the blunt words “Not secure.” In a few years, Tabriz says, she hopes HTTPS will have progressed to the point that they can unleash the red triangle exclamation point icon on all remaining HTTP sites. “In our impatient moments, we just want to mark everything as insecure,” Tabriz says. “A huge fraction of the web isnt HTTPS, and thats embarrassing to me. It’s not going to solve itself. The team, however, is taking a carrot-and-stick approach: Punishing laggards with its revamped security warnings while also working to make HTTPS easier to adopt. It’s created tools for assessing the components of an HTTPS site, digging up and explaining to developers the flaws that trigger Chrome’s warnings.And it’s donated $350,000 to the non-profit Let’s Encrypt, which has distributed millions of encryption certificates for free, rather than charge annual fees like other certificate authorities. Even so, Porter Felt and Tabriz say they’ve gotten emails and developer forum comments accusing them of moving too fast, breaking sites, and even ruining lives. But Tabriz has resolved to stick to Chrome’stimeline of a slow, inexorable push towards greater security for all. “It’s easy to convince yourself not to do something, to not move forward,” says Tabriz. “But I’ve developed a thick skin.” If the world’s websites don’t want to get left behind, they’d better toughen up, too. I’d be lying if I said unplugging my Amazon Echo didn’t feel a bit like a breakup. “Alexa,” I whispered while pulling the plug, “it’s just for now.” Butit wasn’t Alexa, it was me. More specifically, it was someone else. I needed the space for Google Home. The $129 Home smart speaker playsa vital role inGoogle’s futuristic vision of “a Google for everyone,” powered by itsomnipresent Assistant. Virtually nothing about it is new; it’s like someGoogler bought an Echo and wondered if, uh, maybe Google should make one, too. (I mean, the product development timeline does allow for this.) Its not a knock-off, though. Google aspires to another level of power, personalization, and accuracy—not to mention a cuter package than the goth tennis ball can Amazon designed. I like Home. It providesmuch of what Echo offers, while signaling far more product and platform ambition than Amazon. Great potential is worth only so much, though, and Amazon seems to understand better than anyone what’s possible withthese devices right now. Sometimes Home feels like sci-fi magic. Sometimes it reaches beyond its grasp and falls flat. The Echo is less impressive, but more reliable. The good news is, you cant go wronghere. Youll like them both, though neither is perfect. The question is how much youre willing to bet on what these devices could be, and which company you think can deliver on that promise. Any gadget sitting front-and-center in your home had better look nice. Home does. It sits 6inches tall, with a bulbous bottom and a sharply sloped top which makes it easy to seethe four lights that indicate Home is listening or working. It looks like something you might plant a succulent in, or a modernist orange juice carafe. Or an air freshener. The potential here is enormous, perhapsbigger than what Amazon could ever offer with Alexa. Right now, you can say “OK Google, play Last Week Tonight on my living room TV,” and Home connects to Chromecast tomake it happen. You can network a bunch of Homes together and pump music through your house. You can keep a shopping list in Google Keep, and check your Google Calendar. Echo, of course, can do most of this as well; to truly differentiate, Google needs to integrate more of its services more deeply. Why can’t I email from Home? Or make phone calls through Voice or Hangouts? Or search for photos and see them on my phone? Home also needs more third-party partners, because surprise, not everyone uses all Google everything. Don’t get me wrong. As much as I wish Google Home lived up to its future promises, its a fantastic addition to my living room right now. It’s hard to describe how nice it is to play music just by asking for it, or turn on NPR without lifting a finger. You never realize how many times you pull out your phone for one tiny, insignificant thing, until you finally havea better way to do it. But then again, Amazon does have Sonos integration coming, which is awesome. And it’s away ahead withthird-party partnerships. And I’m leery of giving Google yet more data it can sell to advertisers. OK, never mind, buy an Echo. Oh, and isnt it overdue for a hardware refresh? You know what? This is impossible. Both devices are excellent, both have bright futures, both are increasingly essential partsof your household. I bought a Home because I like the design, and I like the sound quality. If you buy an Echo because you love your Sonos and don’t trust Google with your data, youll be perfectly happy as well. MashTalk: OK Google, should the Amazon Echo be scared of you now? We got a good helping of hardware and software this week. On the hardware front, we published our Google Home and new MacBook Pro (without Touch Bar) reviews. And on the software side, we got a first look at the 70+ new emoji coming to iOS devices in the upcoming iOS 10.2. Mashable Tech Editor Pete Pachal and Chief Correspondent Lance Ulanoff joined me on MashTalk along with special guest Real Time News Reporter Nicole Gallucci to talk about it all. The verdict is out on Google Home: It’s awesome. (2:00) Not that I was expecting anything less. At Google I/O in May, Google didn’t hide the fact that it was blindsided by the Amazon Echo. Home, as it was introduced, and re-introduced in October, wasn’t going to be revolutionary, but a catch-up. As I wrote in my review, there are some things Home does that the Echo can’t and vice versa, but the built-in Google Assistant is already more intelligent than Alexa, and the gap is only going to widen as Google injects more smarts into it. Alexa and all AI are constantly getting smarter, but the Assistant has one thing Alexa doesn’t: access to Google Search. Of course, it’s still debatable if it’s creepy or not to put a physical Google in your home. The other big hardware drop was, of course, the new MacBook Pro (20:26). Apple lent Lance the $1,500 model with regular function keys and no Touch Bar or Touch ID sensor to check out. Lance thinks it’s a great value. I’m not sure on what planet a $1,500 laptop with only two USB-C ports, no SD card slot and last-generation processors is a great value. I still think nobody should buy the that model; buy a new MacBook, an old MacBook Air or the new MacBook Pro with Touch Bar, but not this model. It’s neither affordable nor high-end. About the only thing we could agree on the MacBook Pro he reviewed was that it’s hot. Apple’s still got it when it comes to design. To wrap up this week’s MashTalk, we chatted about emoji (36:36). Our Watercooler Content Coordinator Brian Koerber summed it up best when the news broke: Apple just ruined sexting. Yep, the peach emoji now looks more realistic and more like a peach, much to the disappointment of the internet. And we got a new selfie and facepalm emoji, and many more. You really don’t want to miss out on Nicole teaching Lance how the cool kids talk with emoji and Lance telling us how he just recently discovered the real meaning of the eggplant. Google is now starting to experiment with one of its biggest changes to search. The company is beginning to test a new “mobile first” version of its search index, meaning the company will prioritize mobile content in its search results. First, a refresher on how Google Search works: Google’s bots crawl the web tracking more than 60 trillion web pages and the links within them. Google then categorizes them into a massive index based on hundreds of different factors. This index, along with a series of algorithms, is what enables Google to return relevant search results that list of blue links when you enter a query into the search box. “Although our search index will continue to be a single index of websites and apps, our algorithms will eventually primarily use the mobile version of a sites content to rank pages from that site, to understand structured data, and to show snippets from those pages in our results,” writes Google product manager Doantam Phan. There are a lot of implications to this change, but the most obvious one is that sites that don’t have functional mobile versions will likely lose out, and turn up farther down in search results. With this move, Google’s message is very clear: The time to adapt to mobile is now. This is a big change and one that “will take some time” to be implemented fully, according to Phan, but for users this means mobile search results will get a lot better. That’s good news for users since the majority of Google searches now come from mobile devices the impetus behind Google’s desire to optimize its core product for that audience. Though Google is still only testing the change, the company offers a few suggestions to those who want to make sure their sites are ready for the change. You can take a look at them over at Google’s Webmaster blog. Google just changed its policy for app subscriptions and Android developers now have more flexibility than their iOS counterparts. In an effort to help bolster subscriptions, the company will soon allow developers to charge introductory rates for app subscriptions. Here’s how it works: Developers can set a temporary rate that will last for a predetermined period of time. Say you have a cloud storage app that typically costs $2.99 a month. You can now opt to allow new users to get the first three months for a cheaper rate. Google’s update may seem like a small change, but it stands to have a big impact on developers who may want to offer things like promotional pricing but have difficulty implementing such strategies within Google’s developer tools. And that’s good news because Android still has a lot of catching up to do when it comes to app revenue. As a whole, Android users spend way less money in apps than their iOS counterparts, despite having a larger marketshare overall. Maybe now that will start to change. I’ve been eagerly waiting to try Google Home, Google’s answer to the Amazon Echo, since the company announced it in May. Not just because Home is smaller, cheaper ($130 versus $180) and prettier than the Echo, but because Google Assistant, the built-in digital assistant Google’s big AI bet on the future is supposed to put all other digital assistants to shame. Echo’s Alexa is no dummy. With its year head-start, Alexa’s gotten so much brainier that I was surprised it was able to answer many of the questions I asked. Alexa also has over 3,000 “skills” integrations with third-party products and services at its disposal. For instance, you can now easily set up your Echo to order you an Uber or read Twitter updates on command. But as smart as Alexa is today, Google’s Assistant is potentially a lot smarter because of the work Google has put in to understand context. It can also tap directly into Google Search and other services. Still, after using Home for almost a week, it’s clear to me that it’s still very, very early days for AI at home. If you already own an Echo, you probably don’t need a Home, unless you really care about having the Assistant read you search results. But if you don’t own an Echo and haven’t yet set up a smart home, Home is a great place to start (assuming you’re okay with giving Google a physical presence in your home). Say what you want about Home looking like a Glade air freshener, but compared to the Echo, it’s a downright looker. Home blends better into my home decor on my kitchen counter or on a bookshelf than the black-Pringles-can look the Echo has going. Home looks less like a gadget and more like a piece of modern art; the only thing that gives it away is the flat cable snaking out the backside, but that can easily be tucked away. Home is also customizable. The standard gray fabric base pops right off with a light tug and you can swap in a different color made of either fabric ($20) or metal ($40). Google sent over a “Mango”-colored fabric base and a black metal base to check out and I’ve taken a real liking to the orange. On the back, there’s a single button to mute and un-mute the microphone. And that’s it for physical buttons, unless you count the touch-sensitive top; you can tap it to play and pause a song, use a clockwise gesture (with one finger) to increase volume and a counterclockwise gesture to decrease volume, and tap it to cancel a Google Assistant command. The top lights up with four dots (blue, red, yellow and green) when you say “OK, Google,” and they spin when it’s searching for an answer. Google Home has a built-in “high-excursion speaker”. Functionally, Home is capable of doing everything the Echo does. Just like the Echo, it’s got a built-in speaker to play music from various music services like Google Play Music, YouTube Music, Spotify (premium account) and Pandora. It also connects to smart-home devices from Philips, Nest, SmartThings and Chromecast devices (of course). It also works with the digital “recipe” service IFTTT. If you’ve never used an Echo with Alexa to control your smart home, you’re going to be mighty impressed. If you’ve never used an Echo with Alexa to control your smart home, you’re going to be mighty impressed. It’s going to feel like magic. But since I’ve been using an Echo and Alexa for over a year now, it just felt normal. The “OK, Google” command doesn’t feel quite as personal as “Alexa…” (or “Hey, Siri” for that matter), but it works. Despite its small size, the Home is a decent speaker. Google says it included a “high-excursion speaker” for clear highs and rich bass. The speaker sounds good (comparable to most $50-75 Bluetooth speakers), but the Echo sounds better with deeper bass and clearer highs at the loudest volume. You’ll hear more distortion at louder volumes with Home. Compared to the Echo, Home’s a little lacking when it comes to device support I can’t connect the Wink smart plug I have set up in my bedroom to Home like I can with the Echo but hopefully that’ll expand in the months following its release. One thing Home has going for it: Chromecast support. If you’ve got a Chromecast plugged into your TV or a Chromecast Audio plugged into a speaker and they’re turned on, you can say something like “OK, Google, play Casey Neistat videos on TV,” and it’ll play his newest vlog video. Say “OK, Google, play the Weeknd on bedroom speaker,” and it’ll play music from whatever supported music service you have it set to. It’s not quite full entertainment-center automation but really cool nonetheless. Besides, it’s just awesome being able to use voice controls to play YouTube videos. The Google Home app is available for iOS and Android. You use it to set up your Home and manage all the queries that you’ve asked the Assistant, similar to the Alexa app for the Echo. It’s rare for a company, let alone one as large as Google, to publicly tip its hat at a competitor. But by doing so, Google is admitting Home is playing catch-up to the Echo. And when you’re behind, you need something that’s more than just a “me-too” product. You need something that matches the competition and has its own compelling twist. Google Assistant the same one that’s built into the new Pixel phones and into Google’s Allo chat app is Home’s secret weapon. Powered by over a decade of natural-language processing and Google Search, the Assistant is simply brainier than Alexa in almost every way. It knows 70 billion facts, according to Google, and is constantly adding more knowledge to its artificial gray matter. If it doesn’t know something, it’ll try to find an answer from the internet using Google Search. Last month, while reviewing the Pixels, I pitted the Assistant against Siri and the Assistant emerged triumphant. I did the same with the Assistant and Alexa and no surprise the Assistant was able to answer more questions in more detail. For starters, the Assistant is able to understand context better. For instance, you can ask it a question, then follow it with another and another. Alexa couldn’t even answer the first question below. The stronger conversational queries are great, but they’re not perfect. Sometimes when you ask a completely unrelated follow-up question, it still thinks you’re talking about the same previous topic. Echo: Your current location is 10.6 miles, 17.1 kilometers from World Trade Center. As I don’t know your speed, I can’t tell you how long it’ll take. Q: Whats the weather like in Lake Elkhorn? Home: Right now in Lake Elkhorn, it’s 57 and cloudy. Today, it’ll be cloudy with a forecast high of 59 and a low of 58. Echo: Sorry, I couldnt find info on location. Q: Translate “This is the best day ever” into French. Home: C’est le meilleur jour. Echo: Sorry, I don’t have the answer to that question. Home: According to McCormick: Preheat oven to 350F. Mix ground beef, bread crumbs, egg and seasonings in large bowl. Shape into a loaf on shallow baking pan. Pour ketchup over top. Bake 55 to 60 minutes or until cooked through. Echo: Hmm, I don’t know but you can take a look at the Bing search link I added in the Alexa app. Echo: Hmm, I can’t find the answer to the question I heard. Home: Here’s some information that’ll help soothe sore throats. According to Every Day Roots: Heat the water until it is very warm, but not so warm that you cant drink it. Mix in teaspoon of salt and teaspoon or a little less baking soda, stir, and test the temperature. Pour some of the liquid into your throat, let it sit for a moment, then gargle. Do this twice in a row 3 times daily. Echo: Sorry, I didn’t understand the question I heard. Home: Siri is the best Siri. I try to be the best Google Assistant.I think Siri is great. I’m definitely more Google-y. Echo: I’m not better. Just different. It’s a good thing I have my library card because I love books. Do you wash your clothes with Windex? Because you shouldn’t, I can find tips for doing laundry. If I could rearrange the alphabet I wouldn’t because that would be mayhem. This place must have have good Wi-Fi because I’m definitely feeling a good connection. Where Home and Echo both fall short is making shopping lists. You can add items to a shopping list (Home adds it to your Google Keep app) but you can’t remove any items using voice controls. I don’t need toilet paper on my list twice, guys! Pichai touts Assistant as “your own personal Google.” Hands-down, Assistant is the smartest digital assistant on the block, but it’s still got lots to learn before it replaces any human assistant or butler. My only real complaint with Home is that it has the same multi-room problem that hampered the Echo. That is, there’s no way to get a multi-room setup unless you buy multiple Home devices. Amazon’s solved this issue with the smaller, cheaper $50 Echo Dot, which comes in a six-pack for $250. It’ll be interesting to see if Google releases an Echo Dot counterpart or insists you just use the Assistant on your Pixel. I felt a sense of dj vu reviewing Google Home. It felt like the Echo all over again. In almost every sense, Home is like the Echo was over a year ago, but better out of the gate. Home is instantly intuitive to use and intelligent enough to satisfy anyone who’s never used a voice-controlled digital assistant at home before. Google nailed every trick the Echo could do at launch and packaged it all into a more attractive, customizable air freshener-like design. Extras like Chromecast support give the Home a slight edge when it comes to talking to your TV and speakers. I’ve got my quibbles with the Assistant’s limitations just like I did with Alexa at first, but Google’s only scratching the surface of what it can do. Once Google opens the floodgates for Assistant to connect to more Google services (with your permission, of course) like Gmail, Google Maps, Google Photos, etc., then it’ll really be your own personal Google. And at $130, you could buy a Home and a $50 Echo Dot for the price of one Echo, and live in both worlds. Home is brimming with delight with what it can do today, but it’s what it’ll be able to do in the future that will make it a fixture in every home. Google Home gives the Amazon Echo a solid run for its money. Meanwhile, Uber’s largest U.S. competitor Lyft came cruising in Thursday afternoon with its own announcement: a 45 percent discount (in honor of the to-be-named 45th President). Atlanta, Baltimore, Boston, Charlotte, Chicago, Dallas, Denver,Detroit, Miami, Minneapolis-St. Paul, Nashville, New Orleans, NYC and New Jersey, Orange County, Philadelphia, Phoenix, Portland, Raleigh, San Diego and Washington DC. Tapping on “Find Your Polling Place” will direct them to a webpage, powered by Google. Enter in your address, when you registered and select “Uber to Your Polling Place,” and it will then populate the Uber app with your designated polling station and show the hours of operation and ballot information. “Given the important decision people around the country will make on November 8th, we wanted to make getting to and from your polling place easier than ever. Teaming up with Google, Uber is excited to help make that trip as convenient and stress free as possible,” Niki Christoff, Uber’s head of federal affairs, said in a statement. Uber rides will not be free or discounted on Election Day, unless you have never before used Uber. New Uber users can use the promotional code “VOTETODAY” for $20 off their first ride. Lyft has a similarly sized promotion. New users can use the code”NOVEMBER8TH”to receive $5 off their first 10 rides. This post has been updated to include Lyft’s promotions on Election Day. Going Rogue Can Get You Noticed Quick. Burger King had a really interesting campaign a few years back entitled the Whopper Sacrifice. Taking advantage of the simple fact that many people have “disposable” friends on their Facebook friends’ list, the company invited people to “sacrifice ten friends” to get a free Whopper. The company gave away almost 20,000 burgers in a matter of days – even though it got shut down later on for violating terms of service. This just goes to show that if you use rebel tactics and think outside the online marketing box that you can come away with a truckload of new sales. Rest assured, very few of those free Whopper winners walked away not spending a dime. 20,000 customers is a lot of business. 90% of all purchases begin with Google search optimisation. These statistics should not scare you, but instead motivate you to change your luck with the help of an affordable SEO agency who can help you to get on the map and stay on the map. Good SEO can drive foot traffic to your brick and mortar store and skyrocket sales by pinpointing clients who are already looking for what you sell. Thinking of Your Customer First Counts. The secret to great SEO is that it keeps its reader and customer in mind. If you are constantly pushing yourself too aggressively into your customer’s wallets, then you will no doubt be met with a slammed door. You want to create content that Google will recognize as useful and that your reader will deem as relevant to their life. For example, an experienced yet affordable SEO company knows how to target its industry without being forceful. A ketchup company, for instance, might post fun pictures and ideas for backyard BBQs or recipes instead of constantly pushing its product with endless sales lingo. This earns you reposts, likes and readers for life. If you are not yet utilizing the power of search engine optimisation, it is never too late to reap the rewards of what affordable SEO services can do for you. Whether you want to go rogue with unique online marketing campaigns or keep it simple with excellent content that counts, affordable SEO packages can help you get exactly what you want for exactly what you want to pay. Remember, you do not need to break the bank to see your bottom line go up, up and away into a new realm of online success.